HI Y'all! Hope you had a wonderful Thanksgiving! We went and saw our son on the east coast...it was just so beautiful, crisp and cold and such wonderful flocks of migrating birds...just fun! Above...aren't these the cutest blocks ever? These are some of the blocks for step 2, Orca Bay...Bonnie Hunter's newest mystery quilt. I have not missed one of her mysteries yet...they are such fun! Are you doing the mystery? come on...join in!!! While visiting my son, we went to an antique mall, and I found this amazing whole cloth quilt. Quilted about 14-16 stitches per inch, amazingly even and gorgeous stitches. I cannot get a picture, but there is a star in the middle, in medallion style. What a gorgeous quilt! I paid the princely sum of $95.00, plus 20% off that for the sale that was going on...the back is turned to the front to from about a 3/16Th's inch binding...it is so pretty! So old...I am shocked at how little it cost for such a treasure. 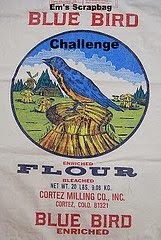 Quilter of yore...I honor your work!!! Some are done...some are half done...all are cut out! Of course, these are all pieces and parts of the mystery quilt, Orca Bay, by Bonnie Hunter at Quiltville. I will be crazy busy with work and stuff the next few days, so I probably won't post, but I wish each of you a joyous Thanksgiving! I am so grateful for all of you, as well as my many blessings in this life. Wheww! all the blocks are done!! First of all...don't mind Rosie the poodle. She is working her way through college, working as a quilt model...don't hate her 'cause she's beautiful! Actually, she just needs to be in the middle of whatever is going on, and that is just fine with me. OK! 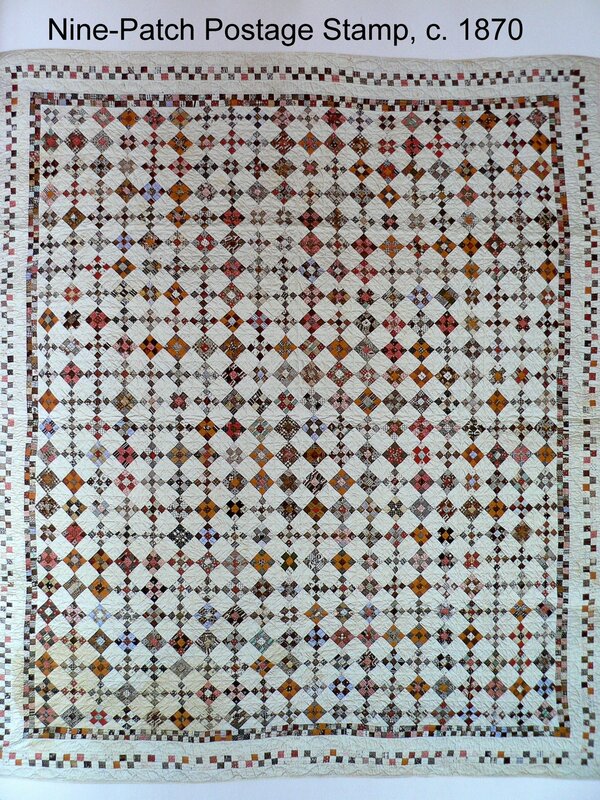 Here are all 270 jewel box quilt blocks. I see one that I need to separate, because the same plaids are touching, and a couple blocks are humility blocks...see upper right corner...but all in all, I am going to set this together and call it a day! Except...for the border. It is all cut out and mostly sewn, so you will have to suffer through one more picture of this quilt later. Here is the thing...I feel pressure to make really big, big quilts for the bed, but they make me tired! And anxious...I may have to re-think this. After all, we have plenty of covers to stay warm...so maybe my quilts don't have to all be so huge! Yes, that is the edge of a saddle on the left upper part of the picture...dear husband's saddle. Here are all the blocks neatly (HA-HA!!) stacked on the piano bench. I love the cacophony of colors, that somehow all go together. Scraps are the best ever! And plaid scraps are heavenly! I thought I would surely die yesterday. I had 17 admits roll through the door...SEVENTEEN new patients! I was in charge, not enough nurses of course, so I ended up taking patients and being in charge....really thought I may not make it. No eating...bathroom break? Forget it!!! But, I can say...everyone lived and that is a good thing!! I was scared to death today...I was driving to meet my dear husband for lunch, and a motorcycle (crotch-rocket type) jetted past me, in between the lanes of cars...doing at least 100 MPH. I was just terrified for him! I have taken care of a few of these guys, post the inevitable near fatal wreck...one was 23, and had been a quadriplegic for 4 years...totally with it in his mind, but his body unable to move at all. I just gasp then hold my breath when I see these kids doing this! Is it just here, or do these kiddos ride their motorcycles like this where you live?? Everyone, I wish you a wonderful day! I have painted most of the day in the kitchen...arms sore and tired, but wow, it looks so much brighter!! 540 seams later...seems like a LONG time! Some progress!! The quarters pieces of blocks were made into half blocks, and I have finished some of the whole blocks above. Rosie is our guest model for today. I am making 270 blocks, and a border, so it is taking me quite a while, but now the sewing is easy, breezy, downhill and not a rock in the road!! The stacks of half blocks, ready to be sewn when I have a spare minute or two. These go fast! I love that these fabrics are all plaids, and around 90% are re-purposed from old clothing from the thrift. Well, it seems that I am in charge at the hospital most of the time now. I would much rather be just in charge of myself, that is a tough enough job! I do adore getting to know the patients and families, and I miss that...but I sure am getting to know my co-workers very well, with all their needs and wants. It is hard to please everyone, but I am sure trying!! Layoffs are eminent, according to those in management...that is scary, and I just hate that this is taking place right before the holidays. We shall see what happens!!! Something new...we are tearing apart our kitchen! Sounds fun, right? The old wall paper from 30 years ago and worn baseboards just never look clean, no matter how much I scrub...so we took it all down, and are painting fresh and new!! New floors too...out with the old linoleum...how about some pretty marble tile? Yahoo! Later...and many $$$ later...I would like to have new counter tops too. Maybe in the new year, depending on the work situation!! Hope you have a really great day...thank you for stopping by! Pieces and parts all finished...now on to the blocks! The stacks become piles! I have more than enough units to make my Jewel Box plaids quilt...more than enough to make a really big quilt for dear husband!!! I love this part...now I can make all the blocks and really make some progress. Many projects in the works! Alrighty then! I took out my Dear Jane...here is the state of the union. I am working on the sixth row, and putting all the blocks together as I go. I tried to do a couple blocks this morning, but our printer is not working, and I need that to work on this quilt, so I had to just sigh, admire the little blocks Jane drafted all those years ago, and put it back away. I am excited to get started on this again though! So Jane...be patient! I am raring to go to get your quilt done! You know, not one of these blocks is perfect...and somehow, that is OK, and I love it all anyway. JOY!! More Jacob's ladder blocks...these are really fun together, and I have a lot more to do. Great fun!! Walmart used to sell fabric, then our store closed out all their fabric. I found this maroon/pink/brown paisley print on the $2.00 table, so I bought all they had, about 4 yards. It makes the perfect sashing for this quilt!! I am really enjoying stitching these blocks in odd moments too...my setting will be different than the Primitive Gatherings quilt, but I love it!! I won this book!! 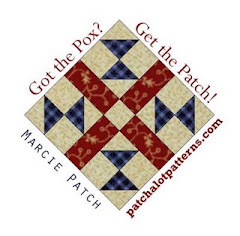 I am just thrilled...I love puzzle quilts, as I call this kind, lots of blocks and miscellaneous pieces...love it! thank you, Liz!! Please go and see her blog HERE!! HI Everyone!! Have you seen old quilts like this one? Tiny nine patches...really tiny! I love these quilts each time I see them in the quilts-for-sale booths, but wow, they are too pricey...so I am going to make one. Yep, I am going to make one...I tried one inch pieces, to make a 1.5 inch nine patch...it was just ridiculously little. Then I tried 1 1/4 inch strips...and the blocks look very small, but not so small that I cannot handle them. Just this morning, I was thinking of how to use up reproduction fabrics stashed, and decided to make teeny nine patches! I am psyched about this...now ask me about my enthusiasm on nine patch number 800, LOL!! 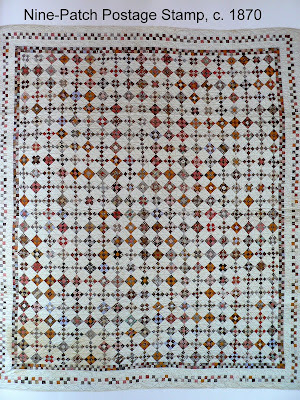 I have seen this quilt in books before finding this picture on the web...please forgive me, as I do not know where I found it, due to my computer crashing about that time! The Dear Jane and nine patches are compulsory...the others are for pure joy! Not that I don't like working on the Dear Jane, but let's face it...some of those blocks are pretty dang hard to make, for me at least. But I love the quilt, and want to finish it, so here I go! Now, this inquiring mind wants to know...are you doing Bonnie's mystery quilt? I got my string box out, and sorted reds and blues according to what she has planned...so I am ready, I think! November 18Th is the date...go to Quiltville and see what she has in mind!! I did get the quilt that was my neighbors wedding quilt. It was really, really under priced for what it is, in my opinion. This is the one I spoke of last post. I do love the colors and tiny stitches in the quilting...a single fold applied binding finishes it off. Pretty, huh? Someone tell me the name of the pattern!! Now I can honor this sweet lady and keep her wedding quilt...Rosie, stay off this one, pretty please! This represents a ton of work...the next plaid quilt is well on the way. I need 540 1/2 square triangles, and I have 340 done. Just a few of the four patches done...this is taking a long time for some reason!! Did you hear? Bonnie of Quiltville has set the date for launch of her newest mystery quilt! Cool huh? Are you in? ?